Save time and money and have the confidence that your pipettes are performing within manufacturers specifications by easily checking them using Pipette Wizard. Suitable for all accredited laboratories checking their pipettes in between external service and calibration clinics. Ensure you conform to your quality standards by checking your pipettes regularly. 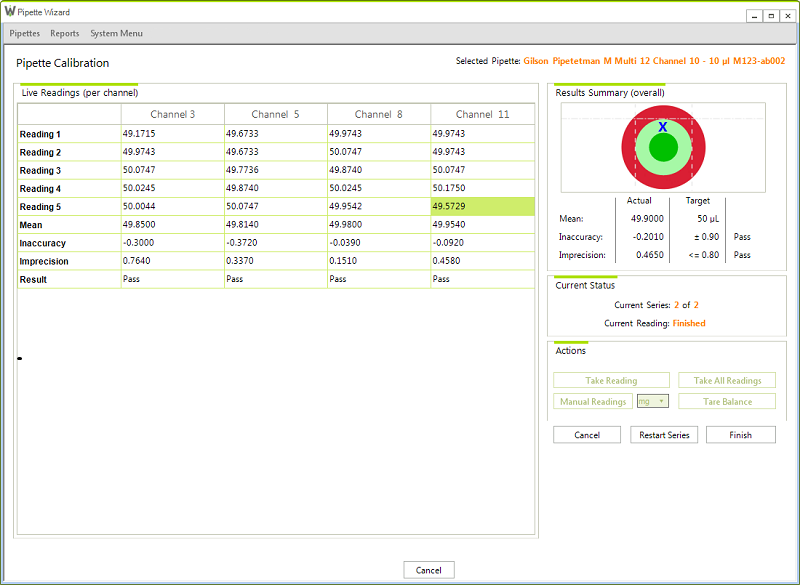 Setup a schedule and easily see pipettes due for checking with Pipette Wizard. 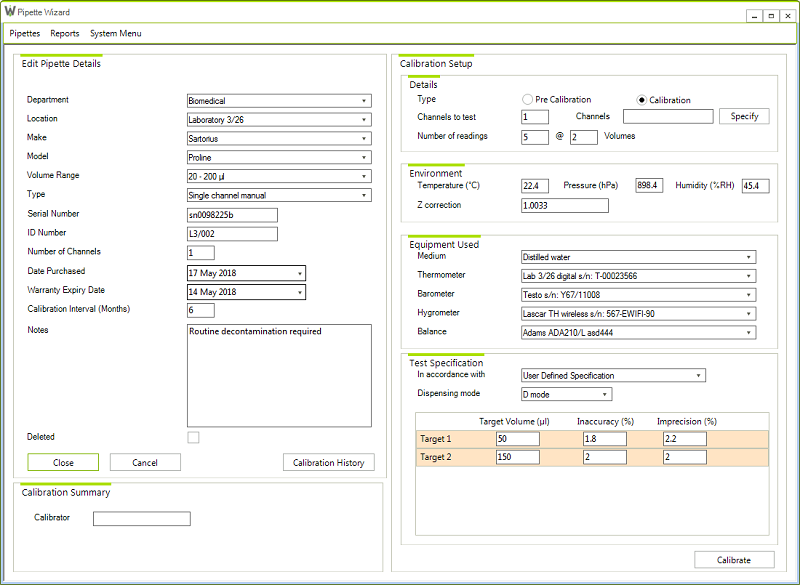 From detailed calibration certificates to management level reports, Pipette Wizard stores a complete history of pipette checks to ensure you always have the information you need. 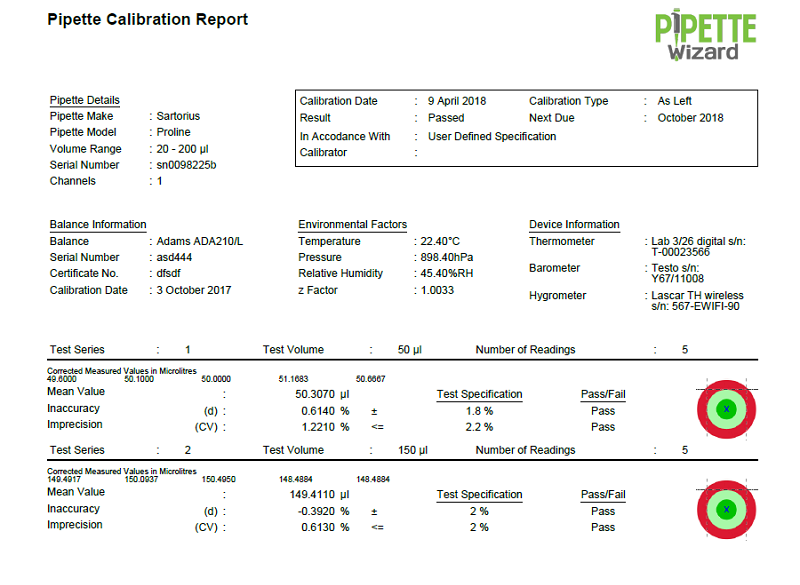 Pipette Wizard can be used by anyone to check their pipettes are operating correctly therefore avoiding costly calibration services when they are not required.